Our experienced commercial sales team is eager to find a solution that fits your budget and needs for your St. Louis metro area facility. We strive to serve everyone with knowledgeable and honest insight with regards to any window treatment opportunity. We take pride in our work and treat people the way we would treat our own family. Our commercial sales team is prepared to meet you and your team at your place of business for a free consultation. Not only will we bring the blind and shade samples to you, but we offer free measurements as well. For any additions or replacements of your existing window treatments, the Cardinal Blinds & Shutters team is your local choice for everything commercial blinds and shades in S. Louis, Missouri. 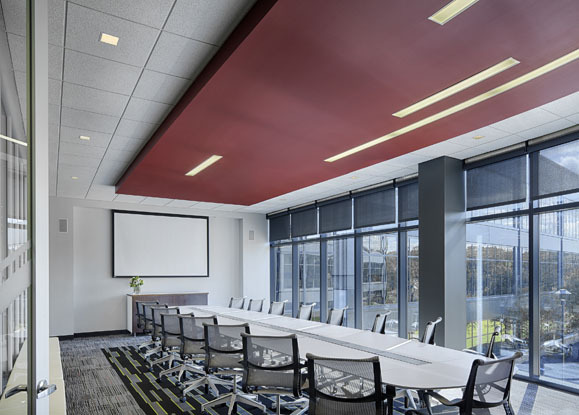 Our Commercial Sales team specializes in aluminum blinds and roller shades which are the most common, practical, and cost efficent window coverings installed in commercial properties in the St. Louis area. If you would like to see product, colors, and styles please connect with a commercial sales rep. Call now. Cardinal Blinds & Shutters LLC is trusted by thousands, including local small businesses and large corporations alike. Below is a list of just a few of the projects we have worked with over the last 9 years in the St. Louis metro area.